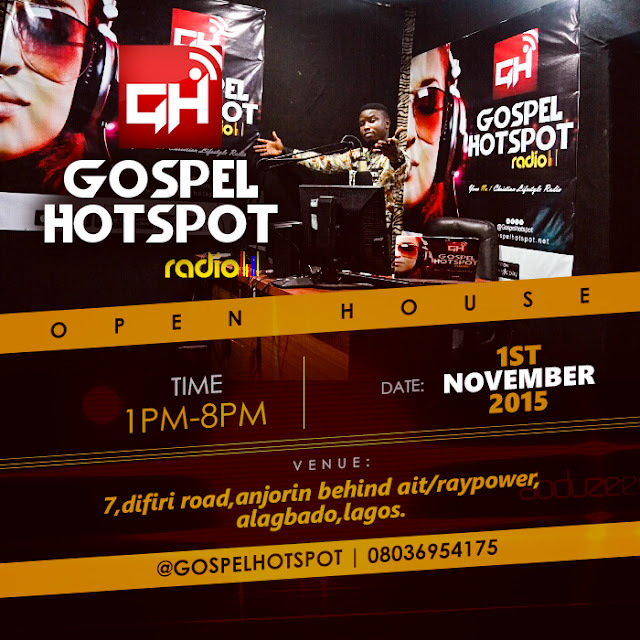 Gospel Hotspot Radio Listeners and Gospel Hotspot Blog readers are all invited to our Open House, this Sunday in Lagos. The Open House will feature showcasing of the best of Gospel Hotspot Radio local and international programmes and also meet staff and on-air personalities. Plus, you’ll have the chance to take a tour of our broadcast facilities. If you value Gospel Hotspot, then we’d like to take this chance to say thanks for your support and invite you to take in a public broadcasting experience unlike any you’ve had.